Beddgelert is in the heart of Snowdonia and surrounded by breathtaking mountain scenery which is largely owned by the National Trust. The village shop/Post Office is comprehensively stocked and is within easy walking distance, as is the church, various pubs, hotels, restaurants and gift shops. 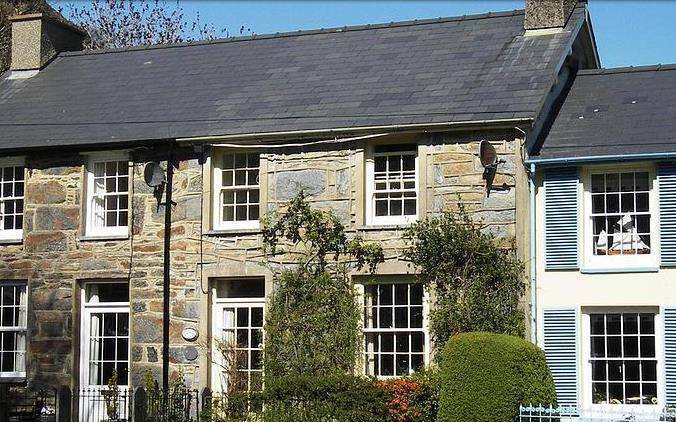 Beddgelert is ideally situated for reaching all parts of the National Park, Anglesey and the Llyn Peninsula. Whether you're looking for quiet relaxation, stunning beach and mountain walks or adventure activities, this is the place to come to. Snowdonia has so much to offer that it's almost impossible to list it all - fishing, canoeing, trail running, mountain biking, road cycling, pony trekking, rock-climbing... All these are available in or near to Beddgelert, either on the Glaslyn, in Beddgelert Forest or on the surrounding hills. Snowdonia is fast becoming the adventure capital of the UK. From rock climbing and high ropes tree courses to mountain biking, and now zip wires and inland surfing, Snowdonia has an amazing variety of adventure experiences to choose from. 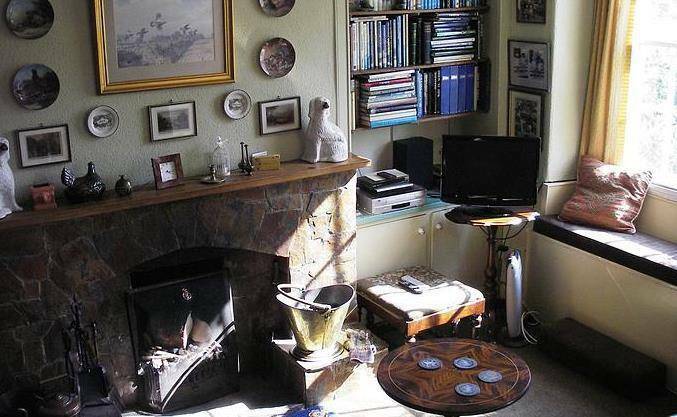 Brackenbury is a Grade 2 Listed former copper miner's cottage, situated in the picturesque village of Beddgelert. Overlooking the village green, and with the River Glaslyn flowing close by, it's only 2 minutes' walk from the centre of the village. 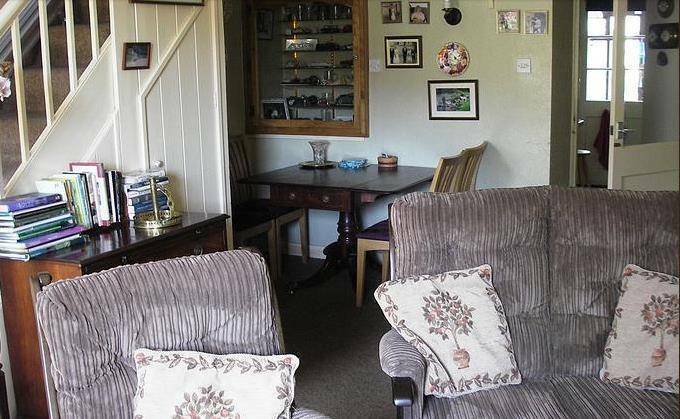 A family holiday home furnished in a traditional style, Brackenbury is also available for guest rental. 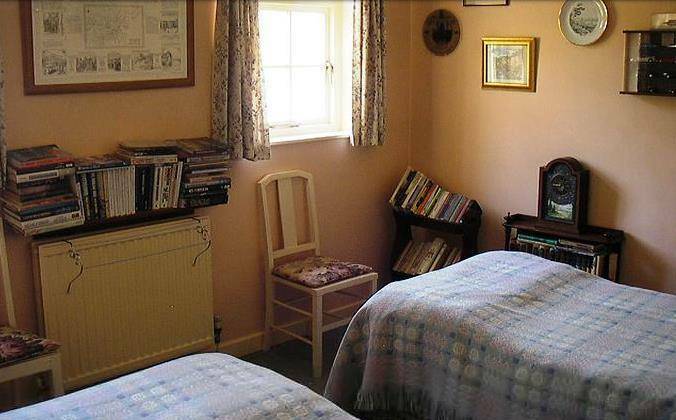 Carefully renovated, extended and modernised over the years, the two-bedroom cottage sleeps 4 people in comfort and 6 at a pinch. It's also pet-friendly and we don't charge extra for pets. Facilities As this is our family holiday cottage, it contains many of the things that you'd expect to find in a full-time home. Central heating is by oil-fired boiler which also heats the water, with back-up from an electric immersion heater. 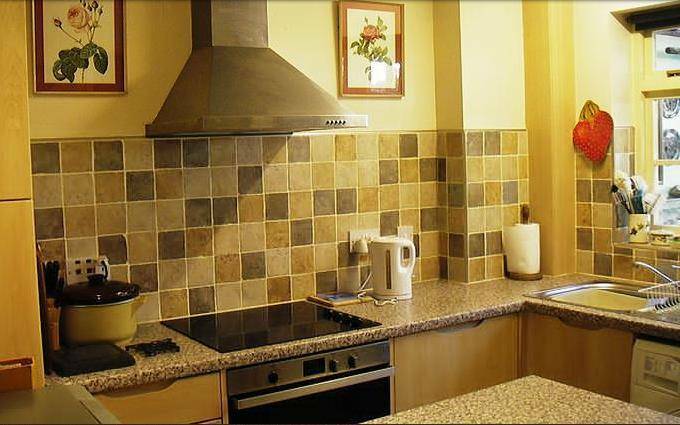 Microwave, slow cooker, automatic washing machine, kettles (upstairs and downstairs), iron and ironing board. Crockery, cutlery, etc. for six people. There is a digital colour TV, DVD and video players and a hi-fi radio/record/cassette player. CD player in the living room, plus a portable CD player. There is a varied library of books and a selection of videos, DVDs, CDs, records and tapes. 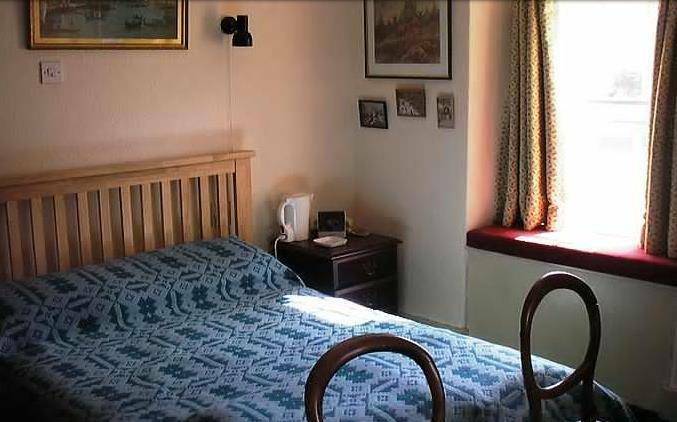 The spare folding bed and inflatable mattress can be used either upstairs or downstairs, but they're only advisable for short stays. There is an Acorn stairlift linking the ground and first floors. Telephones are located in various rooms - they operate on an 'honesty box' principle. The mobile phone signal in the locality is patchy, but unlimited -free Wi-Fi is provided. Outside -Small front patio, in full sun for afternoon tea. 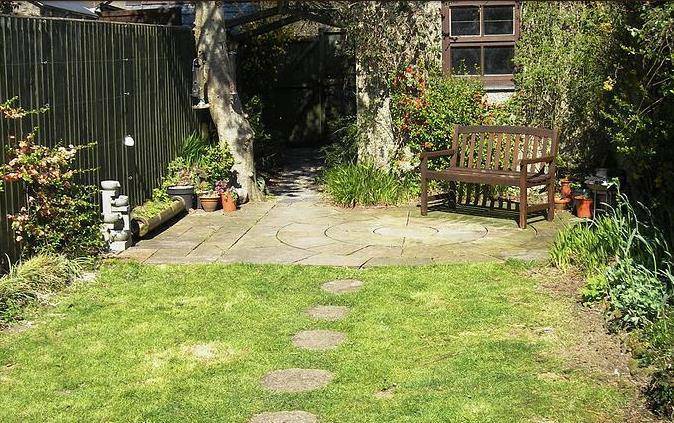 -Rear 'sun-trap' garden with lawned area, patio and seating. -Secure garage with ample storage space for mountain/road bikes, golf trolleys, canoes, etc. -Private on-road parking for two cars, and communal parking area at the end of the Terrace. Children Unfortunately we're unable to accommodate children under 7. Pets are welcome, but downstairs only please. There is a gate across the stairs and a fitted dog bed in the kitchen.